Jason Momoa is pulling out all stops when it comes to being the perfect superhero. Before the Aquaman star begins filming the standalone DC film, he gives us a preview of his preparations in the gym. There’s a really long wait before Justice League comes out in November, but Jason Momoa is giving us a taste of Aquaman. The former Baywatch star is heading to Australia to begin filming the standalone DC flick, which is centered around Justice League’s hydrokinetic hero. To show how much training it takes to be a superhero, the 37-year-old is sharing his preparations in the gym on Instagram. Bow to the perfection that is the King of Atlantis! The Road to Paloma actor played a cold-blooded barbarian in HBO’s Game of Thrones and Netflix’s Frontier. But he’s shedding the savage image by portraying the King of Atlantis, Aquaman, in Justice League and the solo Aquaman movie. Momoa’s Aquaman movie is set to release in 2018, and the 6’4” gentle giant is heading to Australia to begin production on the superhero flick with an army of stunt professionals. Being a hero requires preparation, and for that, Momoa has hit the gym. But not for simply building muscles and washboard abs. The actor is getting into the Aquaman groove with some sword-fighting, Brazilian Jiu Jitsu, and rock climbing. He posted several videos on his Instagram of his Aquaman training before filming began. The first to awe his fans is a video of the actor swinging a bamboo blade like it was the real deal! 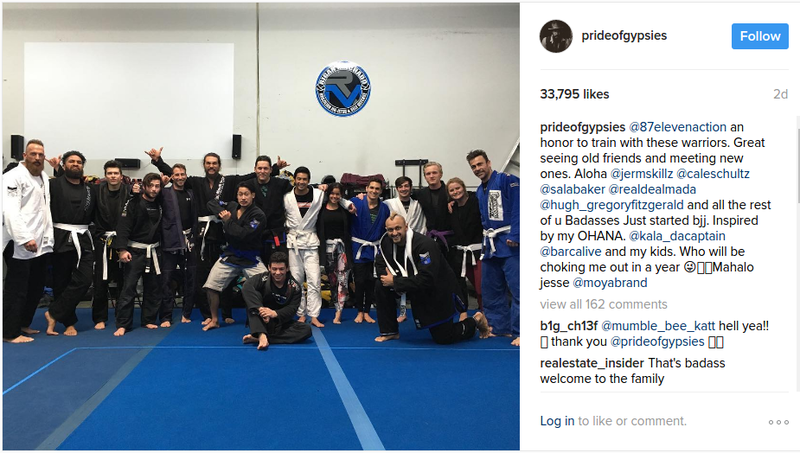 Another post shows the new friends he made at the Brazilian Jiu Jitsu class. His latest post shows Momoa indulging in some indoor rock climbing together with his trainer and WWE pro, Mada Abdelhamid, as well as other professional rock climbers. 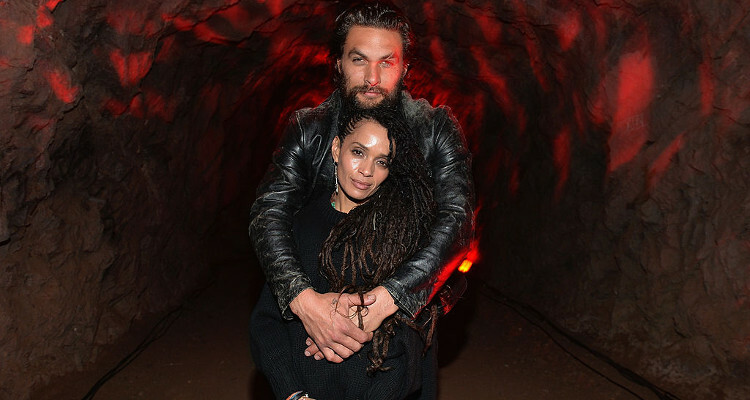 Momoa’s rock climbing skills could put even Spiderman to shame! But why the rock-climbing lessons? What mountain is Aquaman going to climb in the new movie? We can only wait and see when Aquaman releases in 2018. In the meantime, Momoa will star alongside Keanu Reeves and Jim Carrey in The Bad Batch releasing in June, and the trailer is already creating waves of excitement. Check out the official trailer for The Bad Batch below.